Adorable Laguna Hills 1 Bedroom — Priced to SELL! 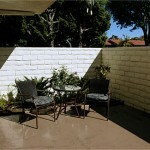 Home » local » Adorable Laguna Hills 1 Bedroom — Priced to SELL! 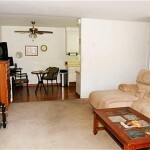 Cozy and spacious 1 bedroom / 1 bathroom with new carpet, has just been reduced in Laguna Woods! This adorable almost 700 square feet South Orange County home is perfect for an older couple looking to scale down and enjoy life! This is a 55 + community called Laguna Woods, which comes with 3 golf courses, tennis, transportation, swimming pools.This charming unit has its own large patio perfect for you to sit outside, drink in hand, and enjoy the beautiful Orange County days… The patio is unusually big, with more than enough room for a sitting area and a small garden or flower patch! This South Orange County lovely One Bedroom abode is light and bright. The ceilings have been scraped to provide you with a more modern, spacious feel. And guess what? The lovely unit comes with a washer and dryer — included in the price! Forget having to drag your clothes to a laundromat, you have everything you need right at your fingertips in this cute unit. 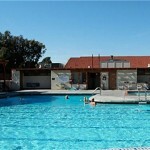 And in your lovely little community, you have full access to a pool and spa and clubhouse! Perfect for relaxing outside on a beautiful summer day! Want to enjoy everything that the OC has to offer? Fear not! Beautiful Laguna Beach is just through the Canyon… Enjoy great shopping at Laguna Hills Mall right around the corner from your new home! Delicious restaurants and grocery stores abound. And you have a movie theater to enjoy all the latest blockbusters! The Laguna Woods bus stop is a short walk away if you decide you want to go green and take the bus to dinner, to the Irvine Spectrum, or to just tour around fabulous Orange County. Parking is also easy! Plenty of street parking right in front of your door for you to offer your friends when they come over to enjoy the good life with you! This cute one bedroom one bathroom is priced to sell, so it won’t last long! Call Cheryl Marquis TODAY for more information about her latest and greatest listing!